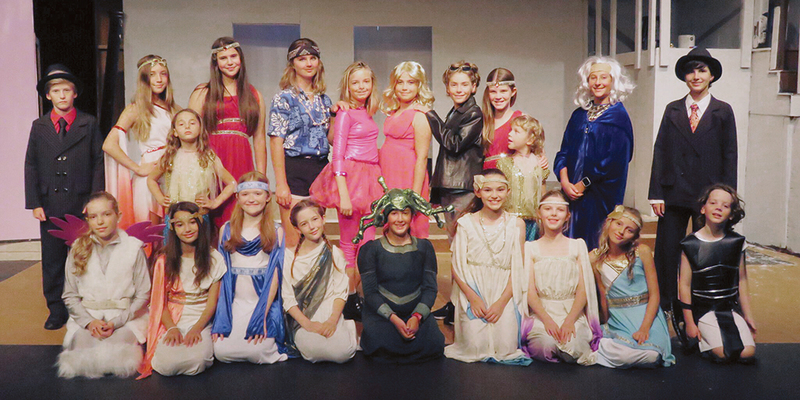 The Theatre Palisades Youth will present the pop-rock musical comedy Xanadu Jr., written by Douglas Carter Beane, starting this weekend at Pierson Playhouse on Temescal Canyon Road. The student version of this show is based on the Tony-nominated Broadway musical, which emulated the 1980 Universal Pictures film with a screenplay by Richard Danus and Marc Rubel, who were inspired by the 1947 film Down to Earth. Theatre Palisades Youth will take you back to 1980. Set in Venice Beach in 1980, the play features the magical Greek muse Kira descending from Mt. Olympus to inspire a struggling artist, Sonny. Sonny hopes to achieve the greatest artistic creation of all time, the first roller disco. Problems arise when Kira falls in love with the mortal, and her jealous sisters take advantage of the situation, and chaos abounds. Gwyneth Seelinger and Riley Stoler. Show times are Fridays, July 22 and 29 at 7:30 p.m., Saturdays, July 23 and 30 at 5:30 p.m. and Sundays, July 24 and 31 at 2 p.m.
Tickets are $15 and should be purchased early, because the shows generally sell out. Call (310) 454-1970 or visit theatrepalisades.com for more information. Tags: Theatre Palisades Youth, Xanadu Jr.